Jonathan Chait commits internet seppuku with PC essay - Combat! 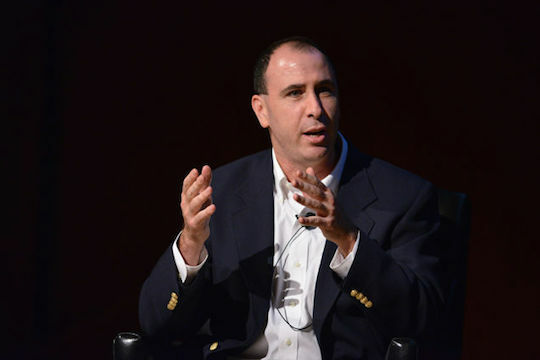 New York Magazine author Jonathan Chait wrecks his ally cred via blue blazer. One of the signal pleasures of reading Jonathan Chait’s essay on political correctness in New York Magazine is being glad you didn’t write it. Chait makes some good points, one of which is that social media will probably excoriate him. He’s right. My personal favorite is the tweet that accuses him of mansplaining the term mansplaining, which includes a shrugging emoticon but does not say how his explanation is wrong.1 Perhaps the implication is that anyone but a white man should explain what that term means, which seems right. It is certainly a bitter irony that a man should establish the definition of pedantic man-talk. Something about that sentiment seems illiberal, though. Must Chait be wrong in defining mainsplaining even if his definition is correct? Here we encounter the crux of his argument, and the complicating realization that he is the wrong person to make it. Part of the problem here is that Chait builds his essay around the hoary phrase “political correctness.” That term may have referred to something real in the early 1990s, when people who wanted to draw attention to the historic biases embedded in language used it to describe their own movement. It was not long, however, before PC became an epithet to deride anyone who paid attention to identity issues, and then a straw man for the right. When I hear someone say “politically correct” now, I assume the speaker is pretending that society somehow conspires against white men. That’s a dumb idea,2 and it is not Chait’s argument. Chait’s argument is that political correctness, which began as a liberal project to address social injustices, has become a fundamentally illiberal project to control speech. Chait ties this argument to the issue of microaggressions—acts that seem appropriate to the person who commits them but inflict trauma3 on others. Chait cites the actions of Mireille Miller-Young, a UC-Santa Barbara professor who shoved a 16 year-old anti-abortion protestor and took her sign. There is a problem with that, and Chait is right to point it out. The Western liberal tradition has maintained a bright-line distinction between acts of speech and acts of violence or coercion. 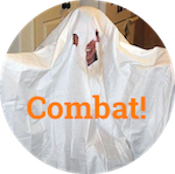 A Klansman and I can say all kinds of things to each other, but nothing he might say will justify me punching him in the face.4 The notion of microaggressions elides the boundary between speech and violence. It uses the rhetoric of trauma to elevate ill-considered or mean speech to the level of violence, in an attempt to justify the use of coercion against ideas. We should not use coercion to stop bad ideas. By definition, bad ideas are vulnerable to better ones. BUt the problem with “political correctness”—both as a potentially illiberal movement and as a stalking horse for white privilege—is that historically, better ideas have not been enough. The truth is true regardless of who speaks it. But for most of American history, privileged speakers have gotten away with saying a lot of untrue things, and the truth has been ignored when women, black people, transgendered Muslims and people in wheelchairs said it. We shouldn’t measure truth by who utters it, but we do. Hence the bind of political correctness: it set out to address centuries of injustice that privileged ethnic, gender and religious identity over ideas, and it wound up seeing every idea through the lens of identity. Hence also the bind of Chait: there is definitely something wrong with privileging identity above ideas, but Chait’s identity happens to be the one that gave us both the phrase “ad hominem argument” and a 1000-year tradition of ignoring arguments from people who weren’t white men. So there are a lot of good ideas in this essay, and he was a fool to write it. The backlash is coming—partly because Chait is complaining that other people’s umbrellas are splashing water onto his giant, rainproof house, and partly because the conflation of idea, identity and coercion is a real threat to contemporary discourse. Let’s not call it political correctness, though. Let’s call it censoriousness. It pretends to be criticism of ideas, but really it is criticism of people. That’s the whole problem, then and now. /me taps an exploding fist to his forehead. This is probably the best article I have read on the Chait kerfuffle. My only problem is this. It is clear that the time has long past when women, homosexuals and people with darker skin tones are ignored. Al Shrpton is an egregious mountebank, but he seems to have a very loud voice. Maybe it’s time for the left to realise that they are in fact the real racists, sexists and homophobes. They are the ones who keep talking about members of ‘victim’ groups as if they are all the same. A gay frind has just retired as the chairman of a large national law firm here in Australia. I don’t ever remember him claiming to be a victim. In fact he hated gay liberation, because it had moved on from obtaining real freedoms for homosexuals which allowed them to be individuals into fights that made them all the same. The only prejudice he met was political prejudice, i.e. the feeling that as a gay man he was going to be obnoxiously P.C. Thus people didn’t have any problem with him being gay, they had a fear that he would be overly sensitive about it. The good idea is simple: judge each person by his or her character and not by their characteristics. Too many leftists fail this test. They insist that white males must be racist and sexist. The leftists are therefore themselves then guilty of the same crime of bigotry that they assume the white man has committed merely by being white. Notice I do not say harm. The question of whether offense, trauma and harm are the same thing is central to the problem of microaggressions—both the acts themselves and the practice of discouraging them. I’m picturing him in the hood. It’s easier to punch someone if he is wearing a hood or mask.